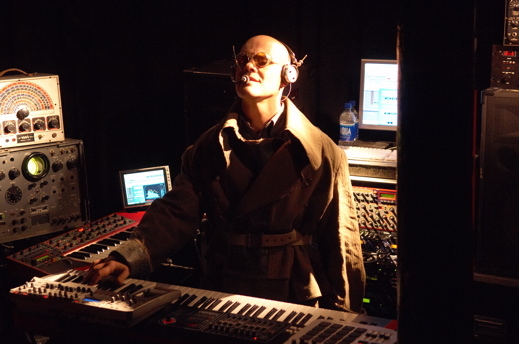 LOS ANGELES, Calif. — In the wake of his critically acclaimed album A Map of the Floating City, and the groundbreaking FloatingCity.com transmedia game he co-designed, Thomas Dolby will embark on a 26-date North American tour this March, with a rather unusual vehicle in tow. 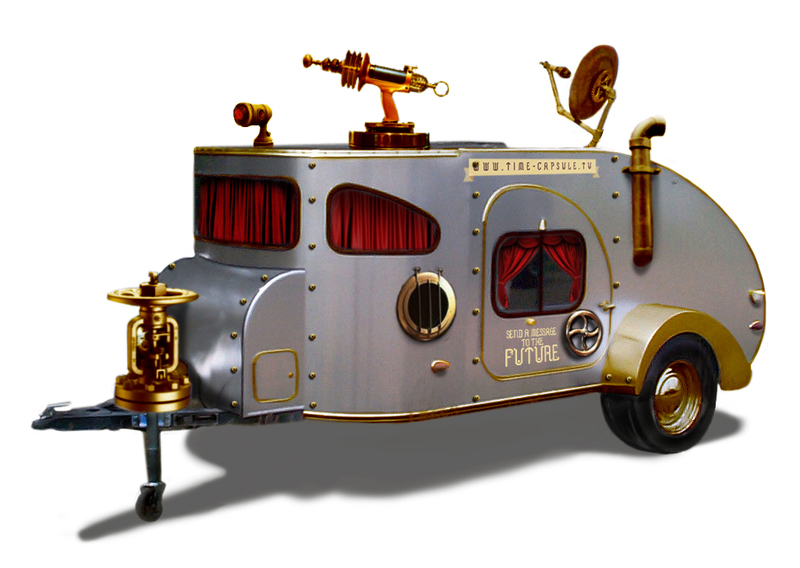 The Time Capsule is a chrome- and brass-plated road trailer that seats three. With handcrafted leather and wood fittings, and complex electrical wiring that could have been designed by Nikola Tesla, it resembles a Jules Verne/HG Wells-inspired time-travel machine. Inside is a high-tech video recording suite that allows a music fan or guest artist to upload a personal video message to the Future. 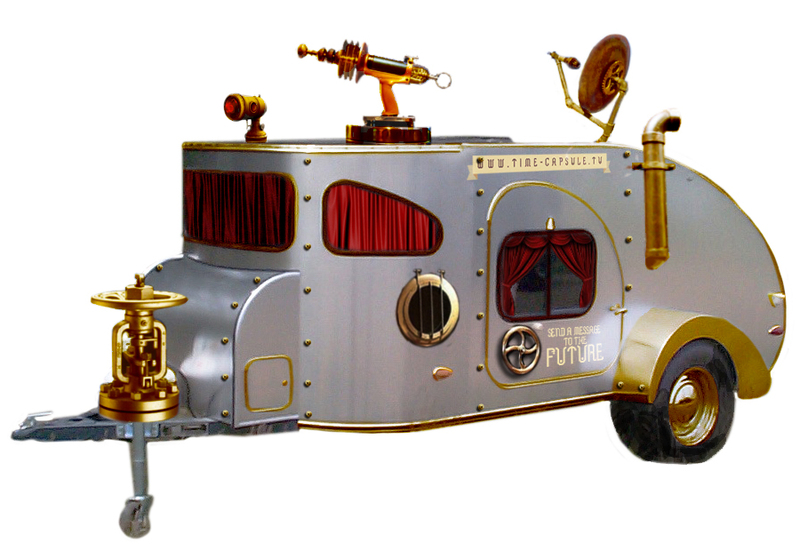 The Time Capsule will be parked in the street outside each venue on Dolby’s month-long North American tour, and in front of select local radio and TV stations. It will capture hundreds of 30-second clips over the course of the tour, assembling them into an online video montage. Fans will be able to walk up and step into the Time Capsule to make their own fully produced and effected digital 30-second video clip. The clips will then be automatically uploaded and viewable on a brand-new YouTube channel along with the individual user’s own Facebook and Twitter pages. The most viewed clips will win prizes. Dolby’s label Lost Toy People Records is in discussion with several potential sponsors for the project.